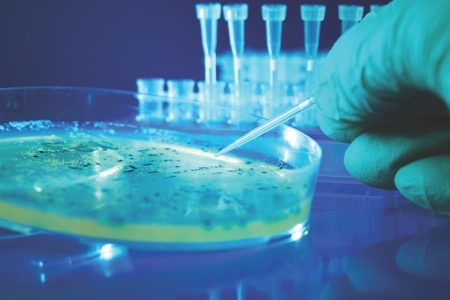 Biological indicators (BIs) are essentially a microbiological test system made up of a known viable population of particular bacterial spores, inoculated onto a carrier, which provides a defined resistance to a specific sterilisation process. It is used by pharmaceutical companies to check whether a sterilisation process is working effectively or not. 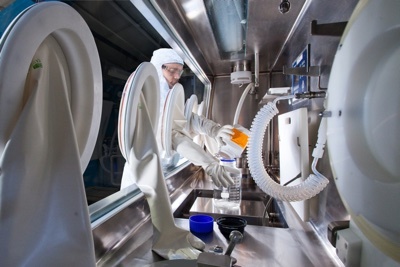 The industry-standard wait of up to 7 days for the BI decontamination results, however, can mean productivity and financial losses are incurred with the delay. Now, there is an alternative way to measure and validate decontamination performance instantly. Following some 15 years of research and testing by Public Health England (PHE), enzyme indicator (EI) technology is now commercially available, and Protak Scientific is the globally exclusive licensee. EIs are an industry-changing advance in measuring the decontamination performance of vaporised hydrogen peroxide (VHP) or indeed any hydrogen peroxide (H2O2) delivery mechanism. EIs offer a fast, cost-effective, accurate alternative to BIs. Most importantly, enzyme indicators have the capacity to remove “run to failure” from the decontamination cycle. In a recent white paper written by PHE and published by the Parenteral Drug Association (PDA) Journal of Pharmaceutical Science and Technology1, EI technology was explored and put head-to-head with BIs. 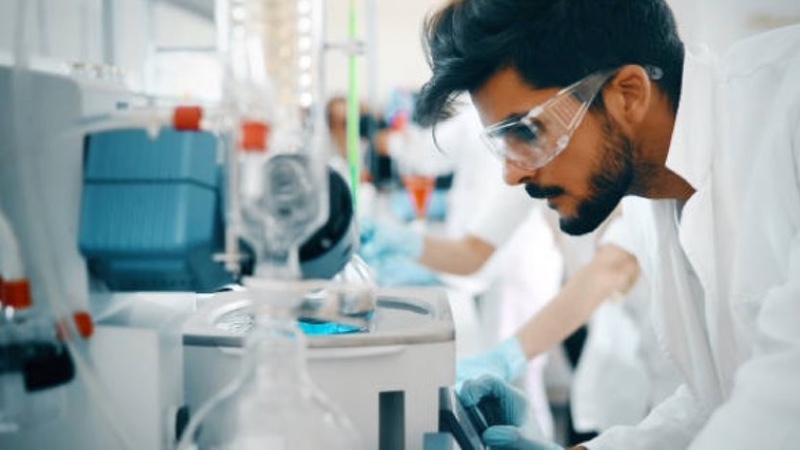 Given ongoing concerns about the reliability and response time of BIs, PHE explored the potential for an enzyme-based decontamination process evaluation approach using thermostable Adenylate Kinase (tAK) enzyme. The researchers reviewed how the enzymes compare to BIs in terms of reliability, robustness and the level of quantifiable data that could be extracted. The technology originated from the isolation of the thermostable tAK from thermophilic bacteria (Sulpholobus acidocaldarius) found in hot springs. tAK is a remarkably stable enzyme with a high tolerance to processes, such as high temperature and oxidising agents, that would quickly inactivate most other proteins. When subjected to oxidisation agents, such as H2O2, the enzyme inactivates with a biphasic profile that correlates in a similar way to the inactivation of a BI – i.e., the enzyme has a predictable inactivation profile which can be measured across a wide dynamic range. These characteristics make tAK an ideal surrogate marker for monitoring decontamination processes. It is the latter point that drove PHE to research this new science and find out whether there was indeed a better way to validate decontamination cycles – and not only to validate them but to gather enough data each time that valuable insight could be gained and ultimately acted upon as necessary. Cycle development has always been binary “yes” or “no” ­to successful log 4.5 or log 6 reduction. EIs offer more detailed quantifiable data than ever before on exactly what level of kill is achieved. 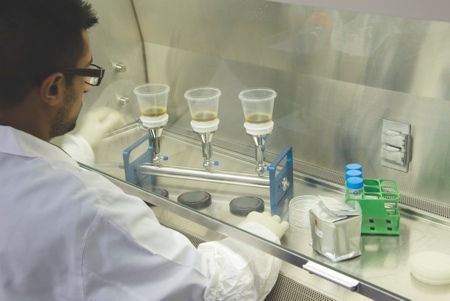 For example, a recent trial in a GMP manufacturing cleanroom running weekly cycles showed the customer a huge amount of information from the first cycle. The company wanted log 4 reduction. In fact, they were gaining over 9 log while using large volumes of H2O2 and enduring a very long cycle. It was overly robust, costing the business large amounts of down time, with excessive volumes of H2O2 being used – which was actually oxidising and potentially damaging the cleanroom structure and seals. EIs validate with pinpoint accuracy, showing worst case positions immediately and allowing even inexperienced users to optimise cycles for time and exposure simply, easily and with confidence. Even existing cycles can be clearly understood and optimised with data-driven assurance. Using an EI as a supporting tool for cycle development immediately maps performance to a data scale. This effectively enables cleanrooms, GMP environments, isolators, equipment and anything else that uses H2O2 as a decontamination tool to be fully mapped on the first cycle. The data is collected immediately, taking just a few seconds per test to collate. From the first cycle, typically within less than an hour in total, the decontamination process is clearly mapped out, least penetrative spots are located and positive action can be taken. This is in contrast to a BI model where at this point the user would still be putting the BIs into broth and preparing to incubate. The user would then wait up to seven days to collate assured data sets and even when that data was received, it would only highlight whether a >log⁶ reduction was achieved or not. This means there is still no benchmark of how close to the goal the process is at that time and so, in turn, there is no way of improving it. Decontamination with oxidisation agents is often described as a dark art but EIs now simplify that process. 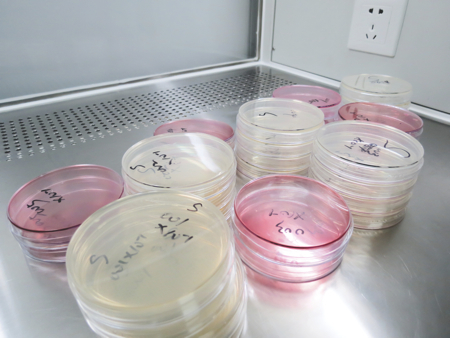 Shane Stevenson, Biogen Product Development Manager for Howorth Air Technology, highlights this benefit in his review of Howorth’s recent EI trials. 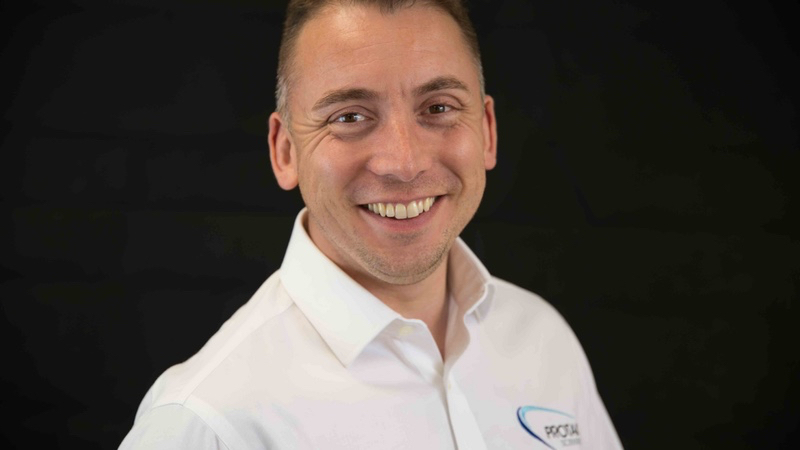 He explains: “We have now completed our first complete gassing cycle development on three pieces of equipment and used EIs initially alongside BIs and then relied upon EIs to develop cycles. From the very first cycle it became clear that EI technology offers a huge advantage. The ability to read EIs instantly enabled us to understand the gassing cycles at a new level, creating a new dimension in terms of data that really helped us to save time and tailor the cycles very quickly. We were able to see the least penetrative locations immediately and this in turn allowed us to save many days waiting for BIs results. Installation qualification (IQ), pre-qualification (PQ), factory acceptance testing (FAT) and site acceptance testing (SAT) also will become a lot quicker and easier. Using EIs gives confidence in cycle. This ensures that when processing with end users and developing a cycle, manufacturers already know the outcome of the cycle and can demonstrate the performance of their system to customers easily and with complete confidence. Using EIs alongside a BI also gives immediate assurance that there is no rogue syndrome present. EIs offer a direct correlation to the performance of BI Geobacillus Stearothermophilus using a developed standard curve and users can “test the test” at anytime, with positive and negative control built into the EI reader. EIs take away all the frustration and wasted time associated with Gassing Cycle Development. They are never fully denatured, so are always able to provide a true measure of cycle performance. That alone is a massive boost to the process but the fact that data is captured immediately and enables multiple cycles per day and immediate action – that is where the true value lies. 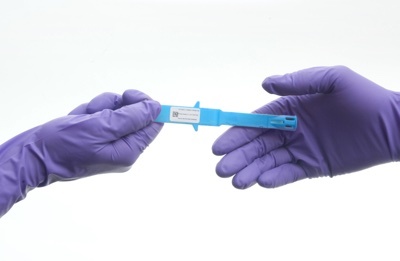 Unlike any other measure of cycle performance, enzyme indicators can be placed and quantifiably measured immediately in every cycle, post decontamination and pre-production. Since running a decontamination cycle without measure carries potentially high and expensive risk, timely accurate data helps prevent “run to failure”. EIs remove that risk in a way that no other technology can match. In summary, developed and extensively tested, EIs have been shown to. have several advantages over conventional practices: The PHE, a part of the UK Department of Health, has researched and tested the technology for 15 years with significant investment and many patents granted throughout the globe. It is a technology worth investigating and implementing alongside or head-to-head with current validation processes. This is the most important factor as to why this new science will revolutionise the pharmaceutical industry. Instant results mean instant action and this is what is needed to improve productivity, reduce risk and save money. EI readers provide quantifiable, tamper proof, digital data, linear readings that provide users with substantially more information than the current BI processes. Enzyme indicators can act as early warning systems – allowing performance monitoring, threshold release and automatic data capture. 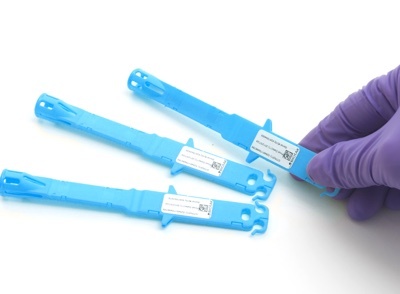 The tests are simple and easy to use and so can be used regularly by medical and pharmaceutical users and technicians. 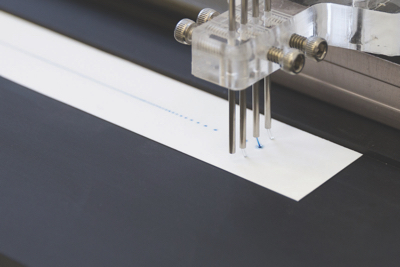 A simple test strip is used alongside a bespoke luminometer, which reads and delivers results instantly. From getting facilities back into service quickly, to immediately highlighting a critical decontamination process failure – this new science may save lives..
EIs and tAK validation provide the information needed to satisfy the audit process quickly – as well as regulator scrutiny. EIs are manufactured to eliminate rogue results and include an optional on-site self-validation process. The EI readers offer more accurate quantifiable data than traditional tests. 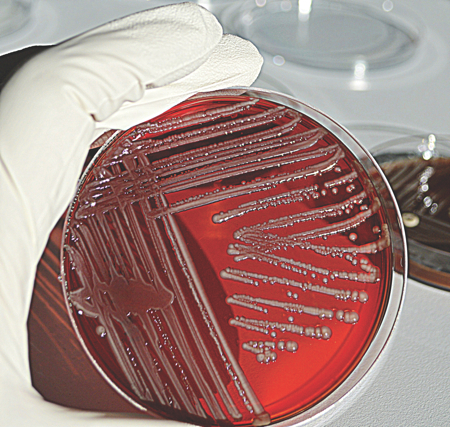 EIs counter the concern associated with placing a viable bacterium into an environment where you do not want any bacteria. They offer surrogate correlation to BI inactivation and are manufactured in such a way that the enzyme cannot be removed from the substrate into the surrounding environment. 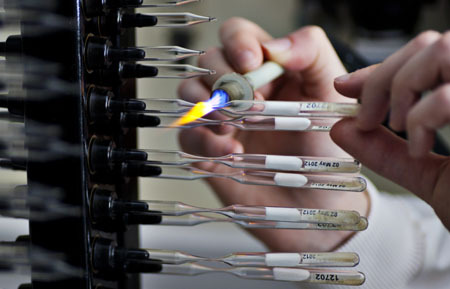 They also undergo an endotoxin removal process so that each test carries less than one endotoxin unit.